On this day in 1916, Guy Provins was killed in the trenches at Courcelette during the Battle of the Ancre Heights (part of the Battle of the Somme). It was his nineteenth birthday. 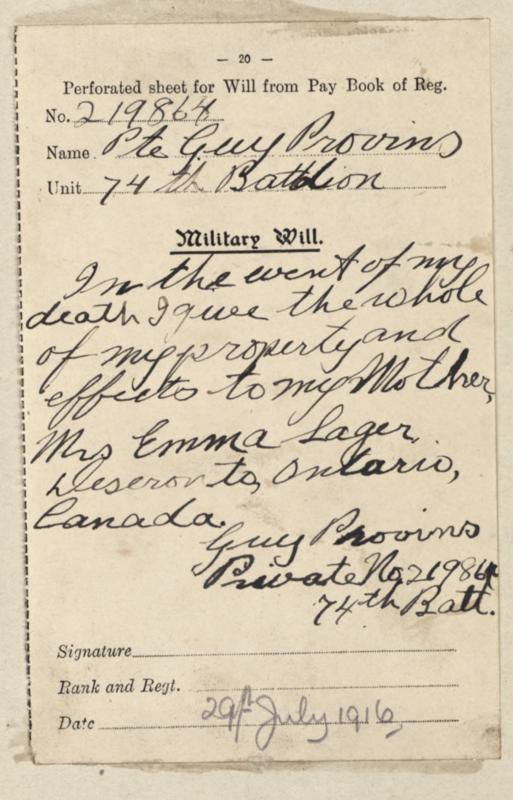 A letter from Provins was published in the Deseronto Post alongside the report of his death. I just received your letter to-day and was glad to hear from you. I am well and never felt better in my life though we don’t get half enough to eat. I wish you would send me a box with some cake and eats and also some cigarettes, as my tobacco is all gone. I would have liked to have been home to go to Midland with you, I bet you had a good time. Well I was in one raid on the Germans but I got back all right. One fellow in the Bombers got a Military Medal for the for the capture of a machine gun and the taking of a couple of German Prisoners all by himself. I am not in the Bombers now, but back with the Company, so you can change my address to C. Co. again. I have not run across the Deseronto boys yet, but we are moving down where they are, so will likely see some of the boys from home. Well, I guess that will be all for now as it is pretty near supper time – supper is the biggest meal in the day to us. Write soon. Guy’s will was taken from his army pay book and transferred to his service record. He left all his possessions to his mother, Emma Sager. Guy’s body was not found. 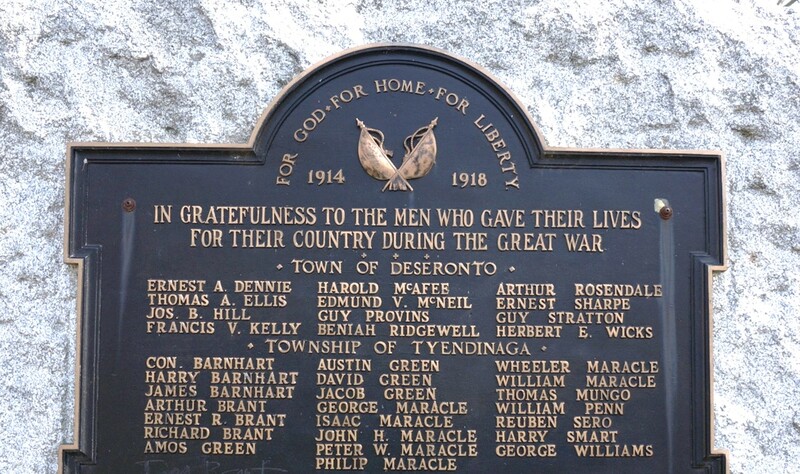 He is remembered on the Vimy Memorial and in Deseronto.